Young children can drown in less than two inches of water, so anywhere there is water, they need supervision from an adult or older teenager. There are also many other ways to prevent children from drowning that you can use together. Do not run in the pool area. Do not dive into the pool if isn’t deep enough. Do not use anything electrical near the pool. Keep toys out of the swimming pool area when it’s not in use. Do not allow riding toys in the pool area. Empty inflatable pools when not in use. Post a sign near the pool, such as on the fence, to inform guests of the pool rules. The best way to keep young children and pets away from a swimming pool is to install a fence around your outdoor living and pool area. The gate should have a lock to prevent access to the pool when there is no adult supervision. Not only will it help to keep your children out of the pool, but it will keep others out who might sneak into your yard to use the pool when you’re not home. At least four feet high and climb resistant. There shouldn’t be any foot or handholds to help a child climb it. The gate leading to the pool should be kept in good shape and be about 54 inches high, measuring from the bottom of the gate. If the fence has slats, they shouldn’t be any wider than four inches. If you’re installing a chain link fence, the diamond pattern shouldn’t be any bigger than 1 ¾” to make the fence harder to climb. If the pool is above ground, restrict access to the water by installing a gate that locks in front of the stairs. If you already have a pool or are planning to install one, then everyone in the house should know how to swim. Young children can start taking lessons from an instructor at about four years old. Some organizations, like the YMCA, may offer swimming classes for children from one to four years old if they are ready to start swimming. How often will they have exposure to water? Their physical abilities and limitations. Any health concerns you have about swallowing water, exposure to pool chemicals, or infections. 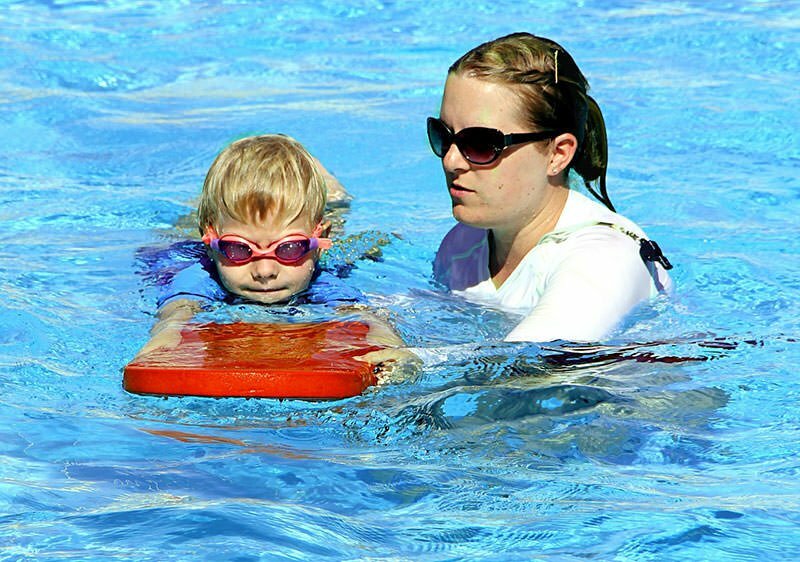 Young children should use floatation devices until they are older and can swim well. Whether it is water wings, a life vest, or an inflatable ring, they should know how to use them to stay afloat in the water. Jump into the pool, swim back to the wall, and then climb out of the pool. Hold onto the edge of the pool and walk sideways on it. Roll from their front to back and vice versa. Take a deep breath before jumping. Be able to blow bubbles through their nose. Swim to the surface for air. 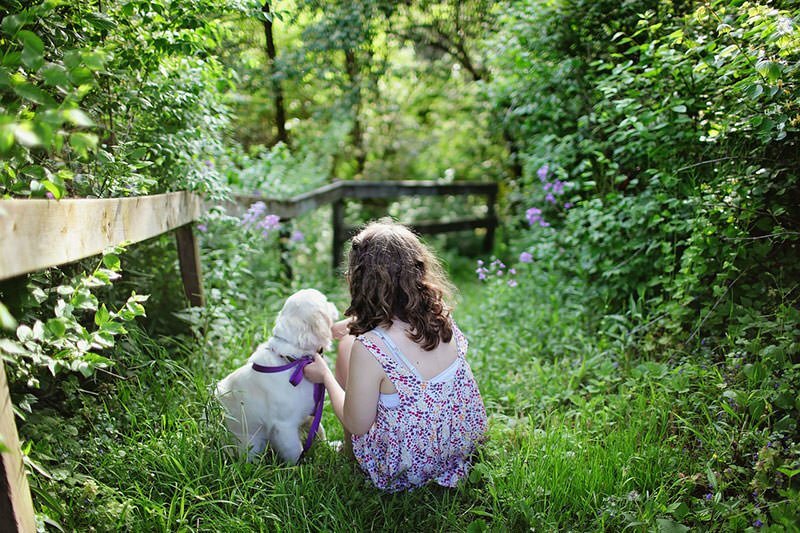 A garden can be another area of your yard that can be fraught with danger for young children. Some plants, sharp garden tools, and chemicals used in the garden can present safety hazards. 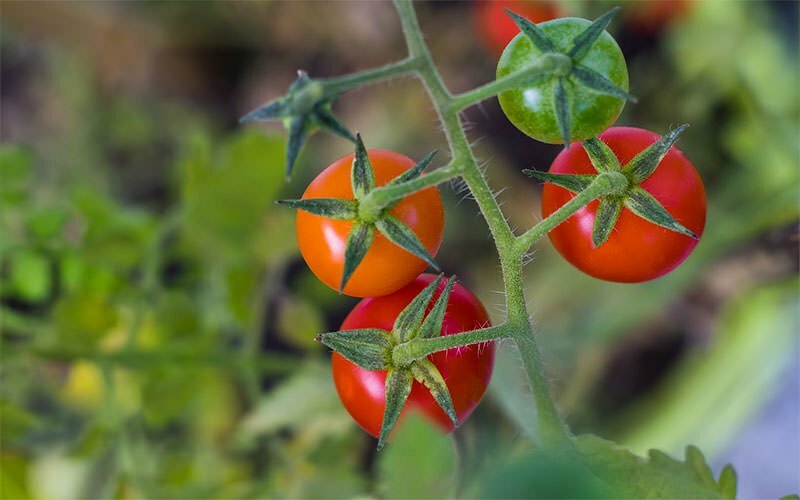 However, by educating your children from a young age, they will know how to avoid getting hurt or accidentally poisoned while enjoying the beauty and serenity of a vegetable or flower garden. After using them, garden tools and chemicals should be put away and kept out of the reach of children. Curious kids can accidentally injure themselves by trying to use a garden hoe, a pair of clippers, or a shovel, not to mention the damage they could do to the garden. Do not spray or apply chemicals to plants when your children are nearby. They can inhale them, which could trigger respiratory problems or cause skin irritations. If chemicals get on their skin and it starts to turn pink or look inflamed, don’t use water to wash off the chemicals because they could react with water and make the irritations worse. Also, if you have a garden pond, either install a fence around it or cover it with netting to prevent your child from getting to the water. 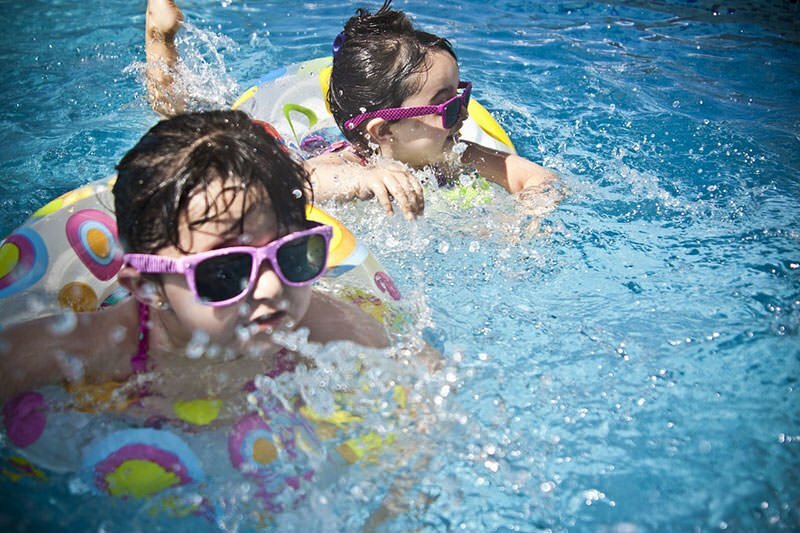 By taking simple precautions, you can prevent swimming pool or garden emergencies involving your children. Although most dogs and cats can swim well, they are also susceptible to drowning in swimming pools, spas, ponds, or any body of water. Puppies and senior pets are more likely to drown in pools because they are the poorest swimmers and are more likely to fall into a pool. Not all dogs are natural swimmers, for instance, bulldogs cannot swim and will sink to the bottom of a pool. To prevent drownings, you should teach your pet how to swim before allowing them into the pool by themselves. With patience, they will quickly learn, but they can be fearful of the water at first. Don’t toss your dog into the pool and expect them to swim like an expert. Get in the pool with them and have them walk beside you in the shallow end, then gradually move into deeper waters. Hold your dog up as they attempt to doggie paddle and, when you feel convenient they are ready to give it a go by themselves, release him or her, but stay nearby. After their lesson, show your dog where to exit the pool and use fresh water to rinse off their fur. Be sure to give your dog praise for doing a good job after their lessons so they will become eager to please you and get back into the pool. Note: If your pet sheds it is important to clean and service your pool regularly to keep your equipment working properly so your family can enjoy the pool when needed. If you have a dog who doesn’t swim well and are frequently around water, consider buying him or her a life vest. As previously mentioned, some dogs, like bulldogs, cannot swim at all and will need a floatation device to keep them from sinking. Dog life vests are available in several sizes, and they have handles on the back to pluck your dog from the water if necessary. You can add an alarm to your pool that indicates whenever someone has entered the pool area or is in the water. An alarm is a good way to alert you when a pet or a child is in the pool area. There are also alarms available for a pet’s collar, so you will know when they are near the pool or have fallen in so you can check to see if they need help. Allowing your pet access to the garden can be a problem for it and your pet. Dogs love to dig, so you could end up with your favorite flowers being ruined if your dog decides the soft soil would be a good place to bury a bone. However, not unlike small children, pets are curious and biting into the wrong plant can make them very sick. The best way to keep your pet out of the garden is to put a fence around it and take the time to teach your dog that the garden area is off limits to him or her. Swimming is a great exercise for older adults as it can keep arthritic joints flexible and it is a good cardiovascular workout. However, they need to be aware of pool safety rules to prevent accidents around the swimming pool area. Even people who are in good health can slip and fall on a swimming pool deck, but for seniors, a fall can be fatal. Falls are the leading cause of death for those who are 65 years old or older, and there are about 9,500 deaths due to falls each year among senior citizens. To help prevent falls around the pool, put abrasive tape strips or slip-resistant paint where people walk when they get out of the water. Also, if you have lightweight lounge furniture, prevent it from tipping over and causing a fall by adding tip brackets on the legs of the table and chairs. The brackets can also keep the furniture from slipping on wet concrete. In rare cases, you might consider remodeling your pool for easier access in and out of the pool. The weather is usually warm when most people are in a swimming pool. Therefore, it is important for everyone to drink water, so they stay hydrated, especially seniors. Make sure to drink plenty of water during the day, especially when it is hot outside. Keeping hydrated can prevent fainting or becoming lightheaded, which could cause a fall into the water or on a slippery deck. Unfortunately, some seniors become suicidal after losing a spouse due to death or divorce, having a terminal illness diagnosis, having financial problems, or being physically disabled. While seniors are only 12% of the population, senior suicides account for 18% of all deaths by suicide. Losing interest in things they love. You should consider adding an alarm to the pool that detects motion in the water if you feel your loved one is suicidal. Also, seek help for your loved one from a professional therapist and encourage them to see someone so they can get help. Installing a motorized pool cover may be a good idea to prevent access to the water. 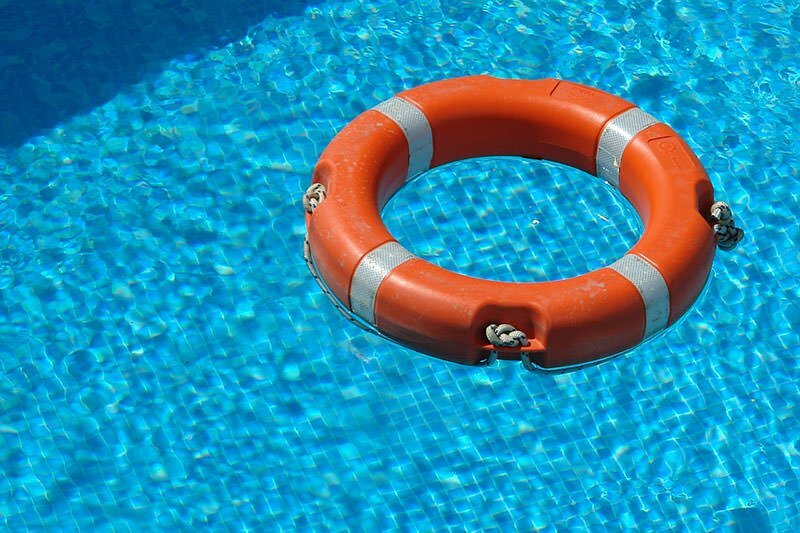 Whether you have small children, pets, or have elderly loved ones living with you, it is important to set and follow swimming pool and garden safety rules to keep everyone safe. Also, make sure the adults and older children know CPR in case someone accidentally falls into the pool because it could save someone’s life.